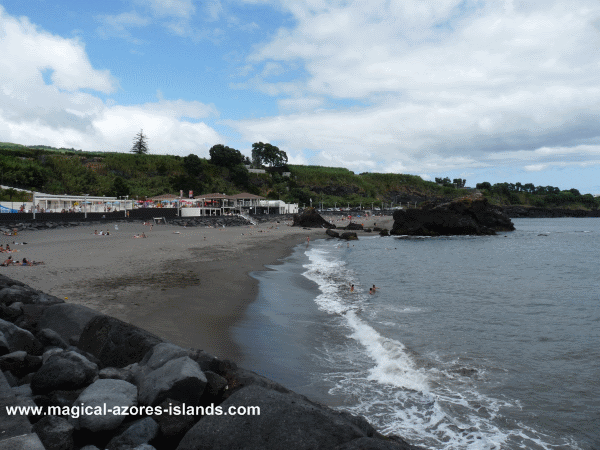 Praia da Vinha da Areia is a popular Azores beach located in Vila Franca do Campo. This popularity is in part to the fact that Vila Franca is a major Sao Miguel town. There are good amenities on site and nearby attractions. 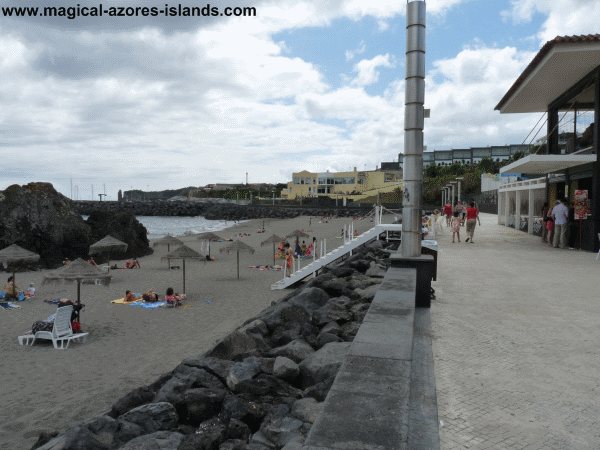 This beach is located right beside the Vila Franca marina in Sao Miguel. In fact, the picture above is taken from a point with the marina behind the camera. In other words, if you stood here and turned around, you would see the Marina. The beach is split in the middle by a big lava rock formation (pictured above). 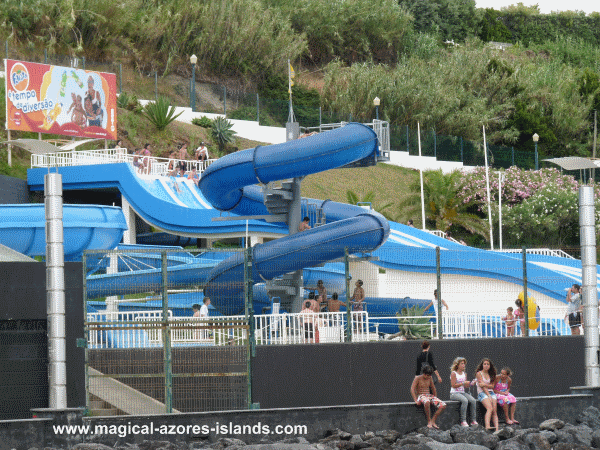 And located at the back of the beach is a waterpark complete with waterslides and pools. The waterpark and beach are served by refreshment stands and washroom facilities. This, along with the nearby hotel, the town of Vila Franca do Campo, and a busy marina, makes this a convenient spot to visit for tourists and locals alike. 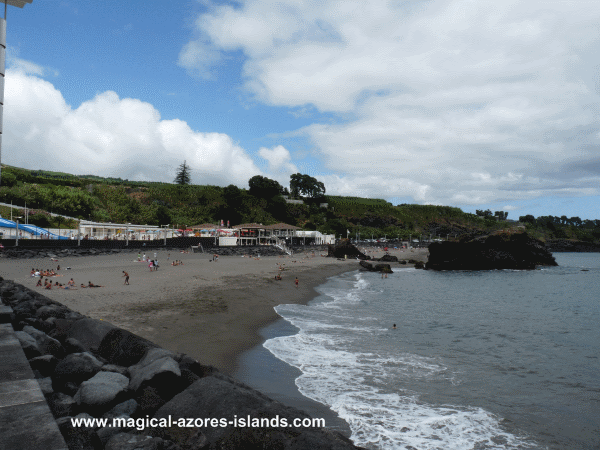 Want to read about more beaches in Sao Miguel? I promise to use it only to send you Magical Azores Islands.